A recent survey from the American Institute of CPAs found that 63% of individuals who either have $250,000 in investable assets and/or $200,000 in household income were likely to tweak 2018 financial planning strategies as a result of the new tax law. Lump Your Charitable Contributions Together – in the new tax law, the charitable giving deduction has remained in place for taxpayers who itemize. The thing is, however, that many taxpayers are expected to take the standard deduction in 2018 instead of itemizing, since it has jumped to $12,000 for individuals and $24,000 for married couples. One method to get over the standard deduction, however, would be what many CPAs call “bunching,” or making a few years’ worth of charitable donations in a single year. That way, you could itemize your deductions in one year, and perhaps take the standard deduction the next. Reduce Taxable Income the Old-Fashioned Way: By Saving for Retirement – the Treasury Department announced an increase to the limits of 401(k) contributions for 2018, to $18,500. This amount is only up $500 from 2017 levels, so there’s not much on the table – but it’s still something. The catch-up amount for savers over 50 stays the same, at $6,000. Self-employed and small business owners get a boost, however, with the SEP IRA or solo 401(k) contribution rising from $54,000 in 2017 to $55,000 in 2018.
Review other changes passed with the Tax Bill that will impact your 2018 tax filing here. A key service that WrapManager provides to our clients and prospects is a comprehensive investment plan. We understand that everyone’s financial situation is unique and often times complex. Building an investment plan means taking all of the financial intricacies in life – including those out of our control like tax laws – into mind when formulating a strategy for how to save, how to invest, and how to manage income. Learn about how WrapManager can help you navigate your financial life and create an investment plan today. Take control by emailing us at wealth@wrapmanager.com or call us anytime at 1-800-541-7774. 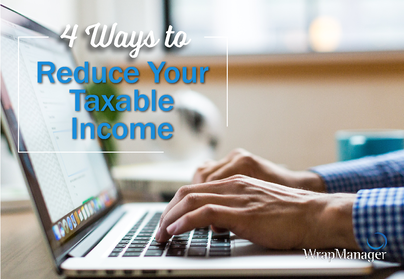 The information presented by WrapManager, Inc. is general information only and does not represent tax or legal advice, either expressed or implied. You are encouraged to seek professional tax advice for income tax questions and assistance. WrapManager, Inc. does not advise on any income tax requirements or issues.